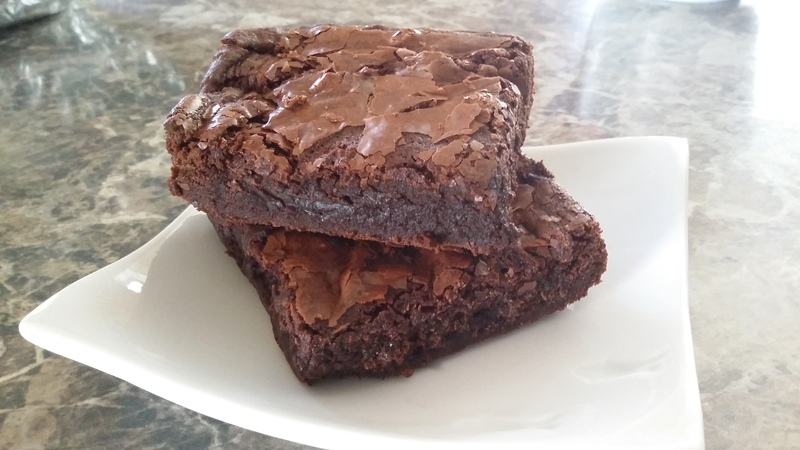 These brownies were incredibly easy to make and may make me forget the box brand forever. Melt butter, oil and chocolate chips in a pyrex for 1 minute on high in the microwave. Stir with a spatula and set aside. In a stand mixer, mix eggs, sugar and vanilla for about 2 minutes. Add in chocolate mixture and mix well. Add in cocoa powder, corn starch and salt and mix well until thickened. 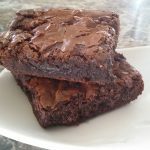 Pour into a 9×9 square pan and cook in a preheated 350 F oven. Bake for 25 – 30 minutes. Served with New Zealand Ice Cream and chocolate syrup.